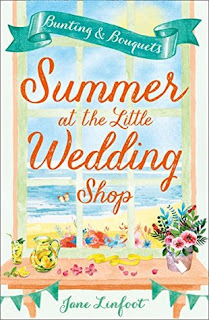 The third book in the bestselling series, ‘The Little Wedding Shop by the Sea’. 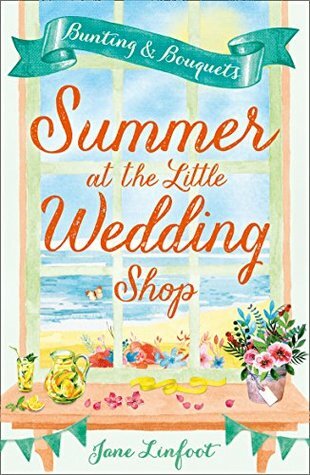 Having been a huge fan of the first in this series - The Little Wedding Shop - I was eager to return to 'Brides By The Sea' but this could be read as a standalone. I'm just shocked at myself for not having read the second in the series - Christmas at the Little Wedding Shop - and will be rectifying this fact sooner rather than later! In this book we follow the story of Lily. She had left the shop, where she had worked as a florist, to move to Bath with her husband, but she soon returns when her dream life doesn't quite pan out. So she is down on love, down on marriage and probably not the best person to invite back to the shop around Valentines' Day!! She is offered a new job with her friends at the shop as the wedding stylist and with a busy season ahead of them again, including the wedding of her mother, all doesn't run smoothly. Added to the mix is the new wedding venue business in the neighbourhood run by clueless Kip Penryn, and he soon enlists the experts from 'Brides By The Sea' to help his business succeed and they are torn whether to help him or hinder him!! It doesn't take long for you to be all for Lily in her plight in moving on from the past, which isn't so easy as she is made to confront all she remembers of her Dad since he passed, and how her mum is definitely moving on - but for the right reasons? Another fabulous look at the lovely characters we have met previously, and the new characters add a little something different and fun to the mix that made this such a pleasing and fun read! So whether you are returning to the shop after enjoying the previous stories, or looking to discover a new fab read then look no further!! Thank you to the publishers Harper Impulse for the advanced reading e-copy in return for a fair and honest review.